This is a Specially Discounted Membership Price for In-Person Private Students. To book you In-Person Private Lesson with Pete Drummond, Email Now! 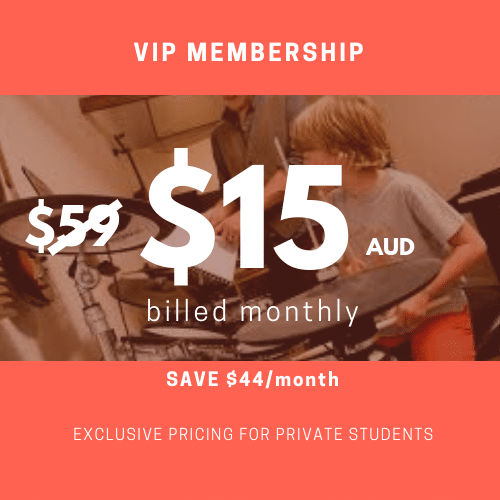 If you aren’t in the Sydney (Australia) area you can still get your personalised Drum Coaching Experience by Signing Up for a VIP Membership today!